Share a brand’s story, launch a new product or spend your days on social media strategy – imagine what marketing can help you do. Do you notice how messages are shared and enjoy telling stories? Do you think strategically about ways to solve problems? Are you obsessed with social media or the wealth of information technology provides? 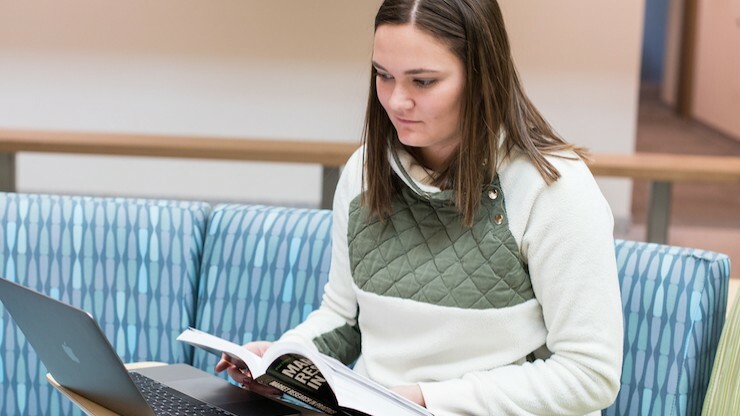 You may be ready for a career in marketing. Marketing is an essential component for all organizations. More than just advertising and sales, marketing revolves around the creation, communication, and promotion of offerings to clients and customers. It combines strategic thinking, knowledge of your audience and creative bandwidth to help clients solve real-world problems. Content marketing professionals utilize the vast amount of information at our fingertips to share thought leadership and gain leads. Marketing analysts work for consulting firms and agencies, looking at trends to help businesses bring a new product to market or better understand their clients and prospects. Project managers take the many moving and often complex parts of a marketing campaign and see them through to completion. Social media strategists utilize the latest trends to engage audiences and create brand awareness on platforms like Twitter, Facebook, LinkedIn, Instagram, Snapchat and more. Marketing directors and chief marketing officers take overall goals and develop them into a companywide strategy to gain new leads and customers, share a brand’s story and launch new products. To me, marketing is the perfect mixture of personal interactions and logistical planning. I love the creativity involved with marketing. The challenge of always thinking of new ways to reach your target market, or even new ways to reach a new segment of the market, is constantly intriguing. 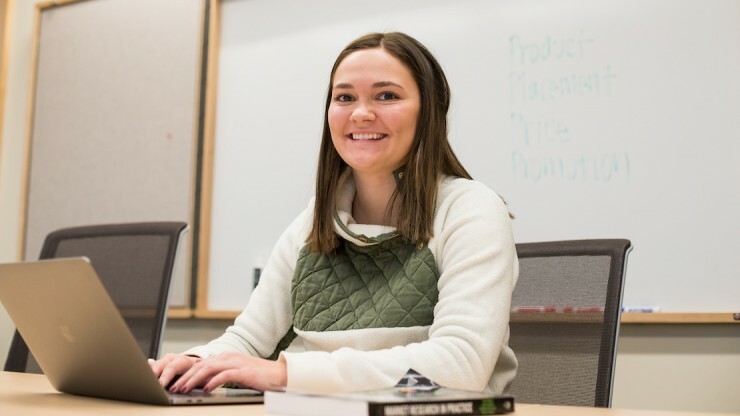 The marketing concentration program at the Offutt School of Business is hands-on. You’ll learn practical skills, apply your classroom learnings through collaborative projects and network with marketing professionals through internship opportunities. Courses like accounting, management, finance and more will help you develop a business foundation. This will put you one step ahead in your career search, coupling your marketing experience with essential business competencies and ethical leadership principles. After all, the best marketing strategy works hand in hand with overarching business goals. What about after graduation? Graduates have become directors of marketing and sales, marketing strategists, market analysts, brand managers, directors of analytics and more. Some work at large organizations like Target Corp., 3M, IBM, Microsoft and Thompson Reuters. Others have joined marketing agencies or used their experience to launch their own startups. 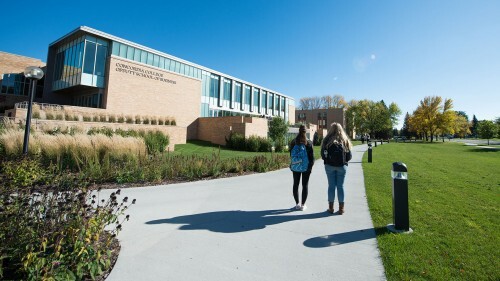 Countless Cobber alumni have stayed connected to the college, allowing their experiences to further impact students. 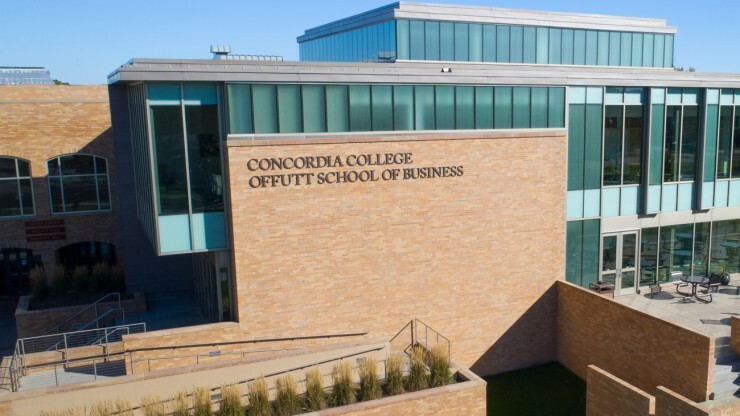 For example, Jodi Duncan '90 is a Concordia graduate who is currently the president of Flint Group while teaching a digital marketing course in the Offutt School of Business. 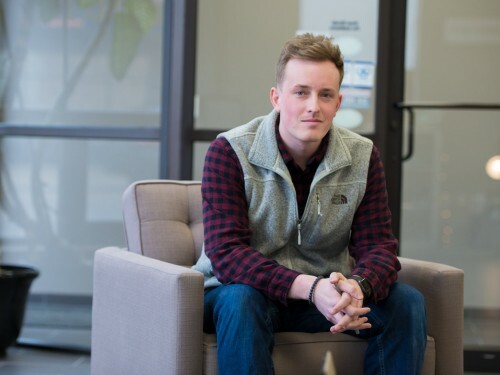 Recently promoted to vice president of sales and marketing at Office Sign Company in Fargo, Jack Yakowicz ’15 is embracing all aspects of the business. 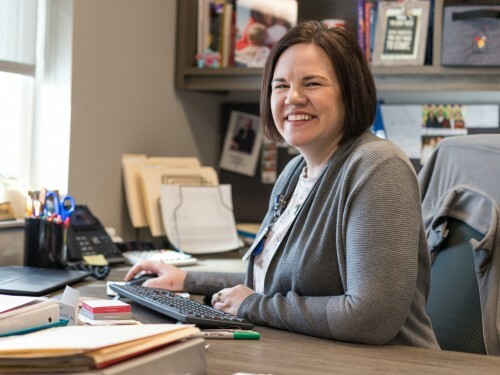 Jill (Anderson) Christopher ’01 is the executive director of the Ronald McDonald House Charities of the Red River Valley.